We all long for a place to call home, a place where we feel totally connected and at peace. But there is no home unless we find it in ourselves. The way home is a journey into trance. Trance is soul food, an injection of spirit that can carry us for days and weeks through subways and supermarkets, head-trips and heartaches. In trance we move into the bigger picture. And from this vantage point we can see into the dark of our own hearts and let go of all the things that haunt us, relinquish them, turn them over to the Great Spirit. Sometimes, we are moved by the spirit of wolf, sometimes we are moved by the spirit of river or the spirit of fear or father. If we let go it takes us past our ordinary self into our luminous self. Any energy fully embodied can be a gateway. Every time we hold our breath, we are holding back the Great Spirit and all its awesome power. But it is the very presence of that power we all deeply crave. We crave it because it is a catalyst; it shakes us up, keeps us real. It takes a lot of preparation to let go of being the mover and allow the self to be moved. In a million unspoken ways, we will be tested and rewarded. Journey Into Trance is devoted to unwinding the mind, moving through specific maps and meditations, teaching us how to more deeply traverse the world of trance. Open to those who’ve been dancing a lifetime or as a first dive into 5Rhythms practice. 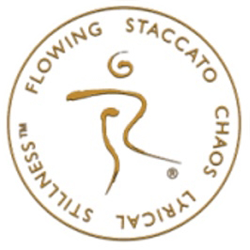 The hours of this workshop qualify for the Waves requirement for the 5Rhythms teacher training.